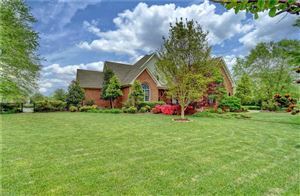 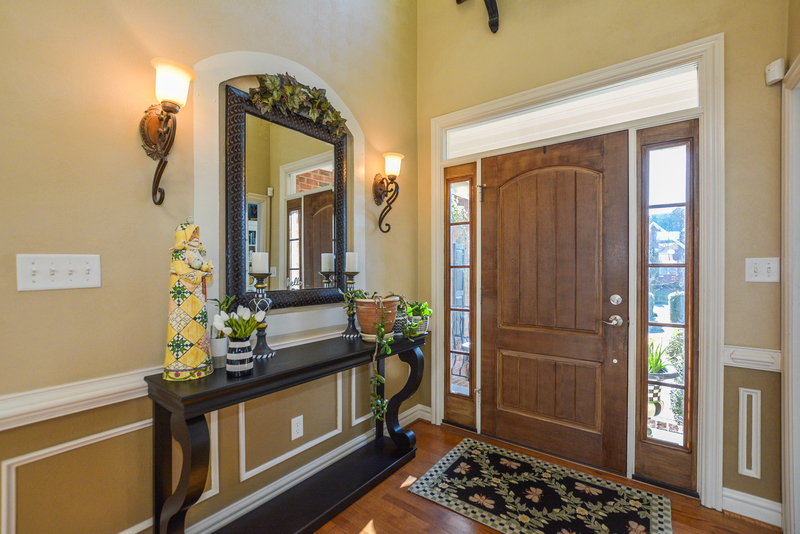 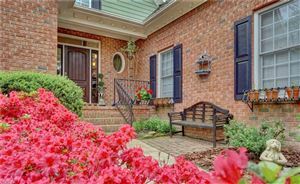 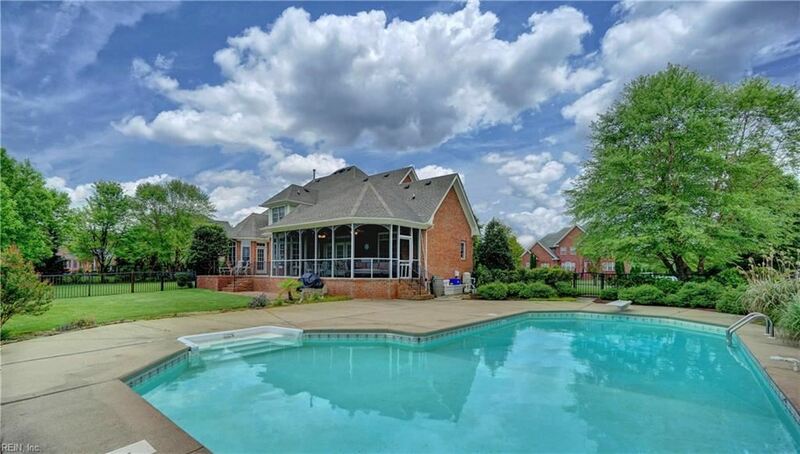 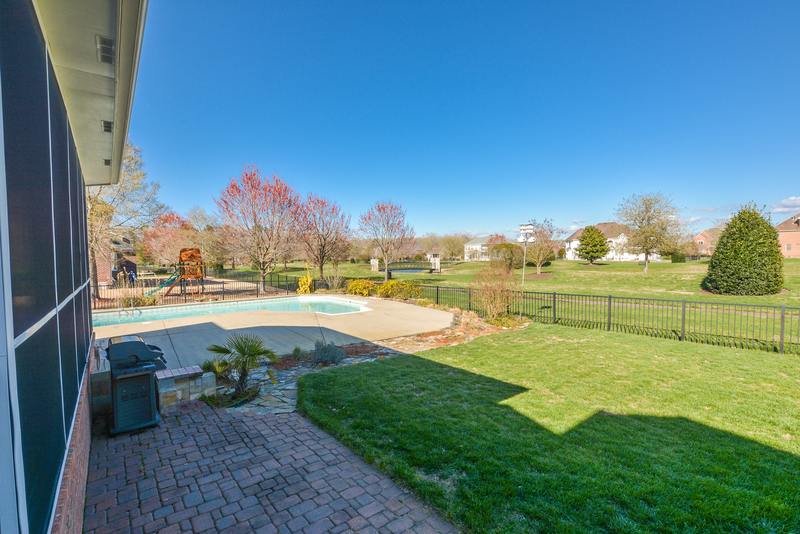 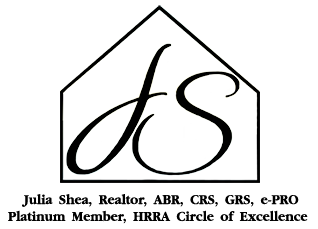 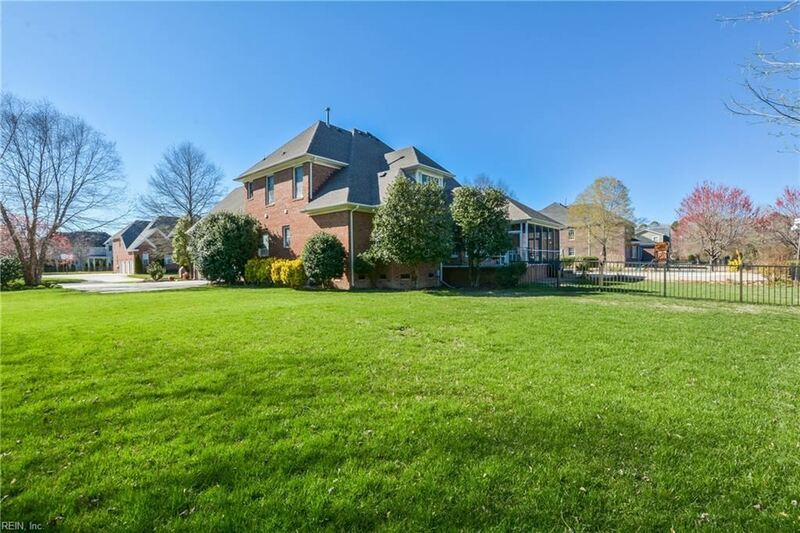 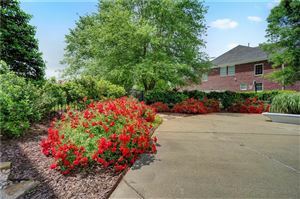 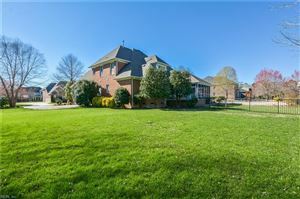 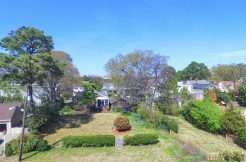 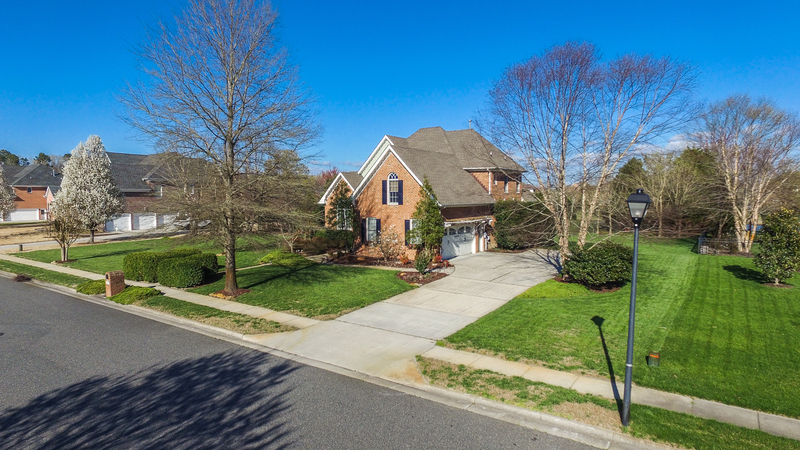 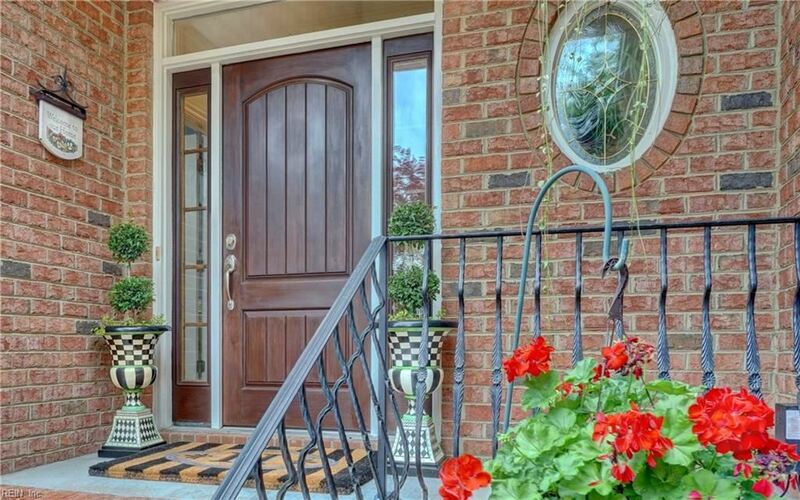 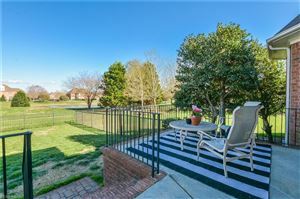 This beautiful home is on one of the most desirable lots in this prestigious neighborhood. 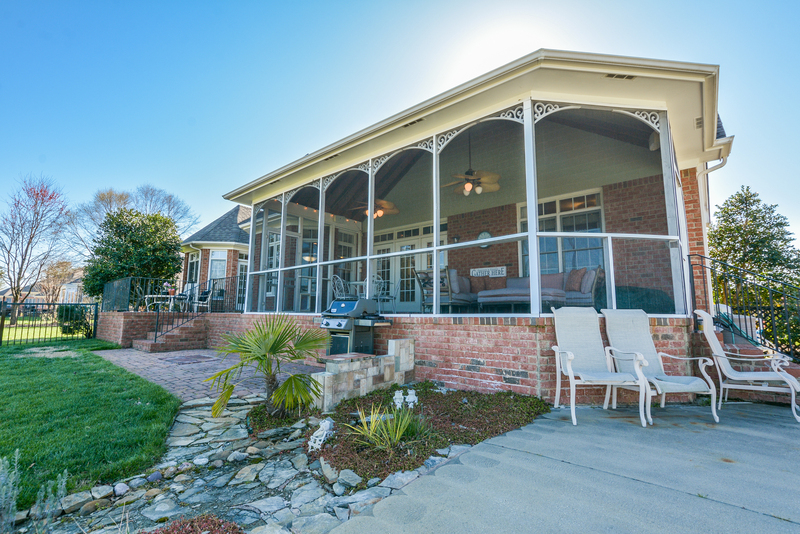 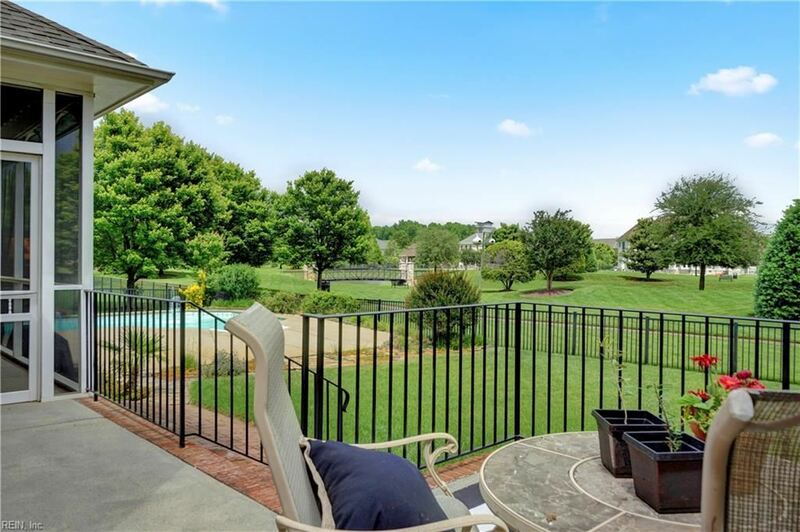 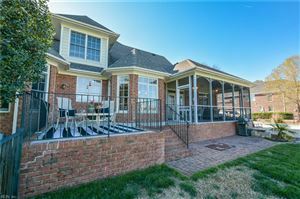 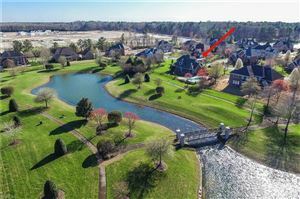 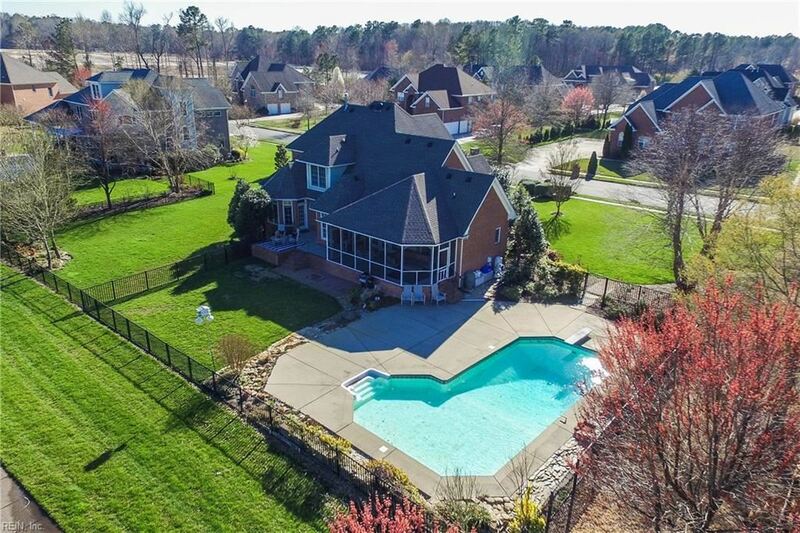 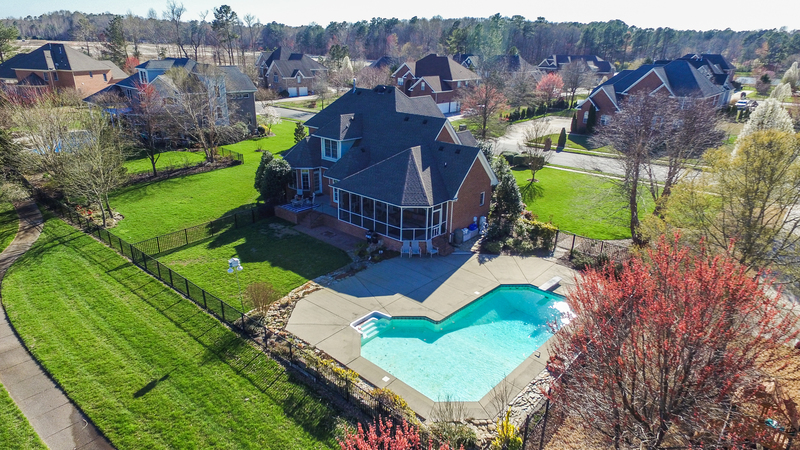 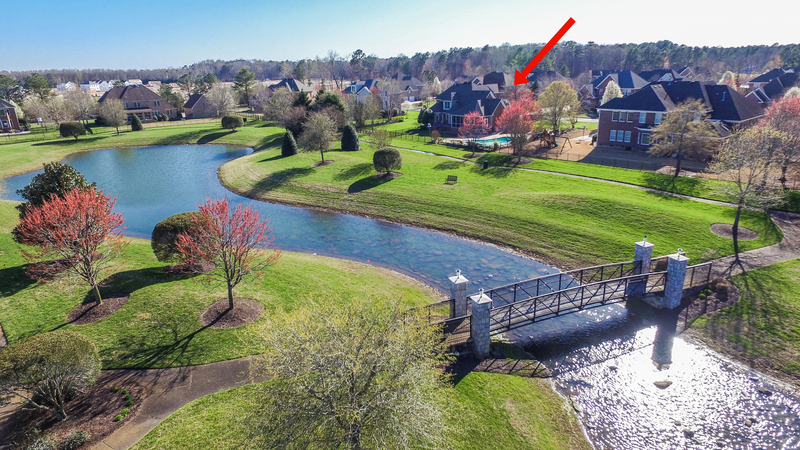 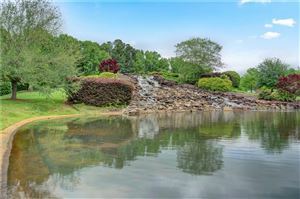 Overlooking the lake & waterfall, this home offers privacy with a gorgeous & enviable view to be enjoyed from your fantastic pool, deck & screened-in porch. 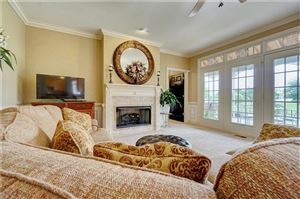 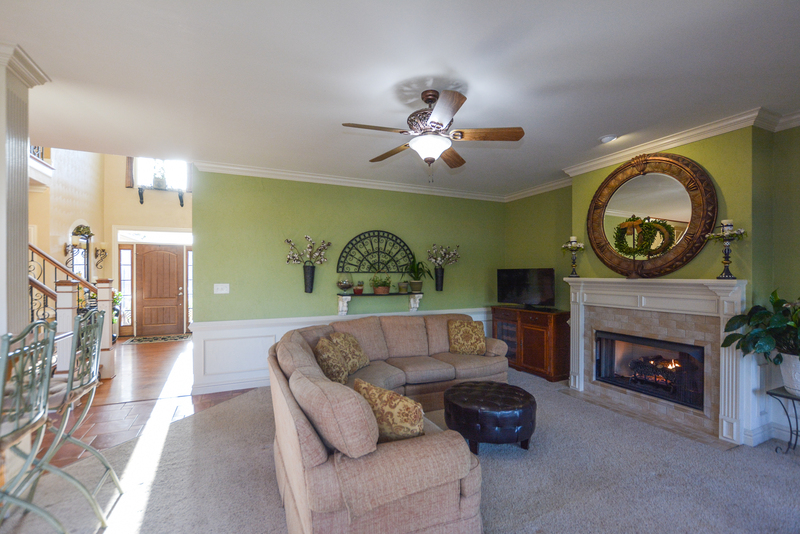 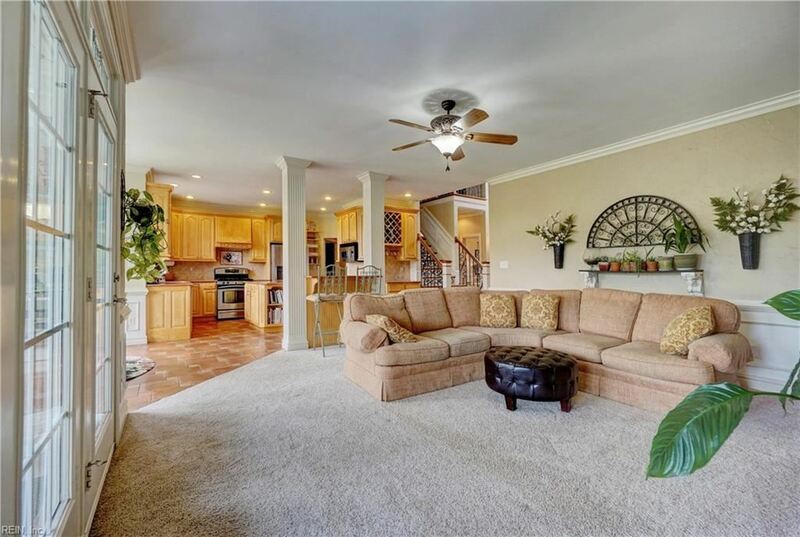 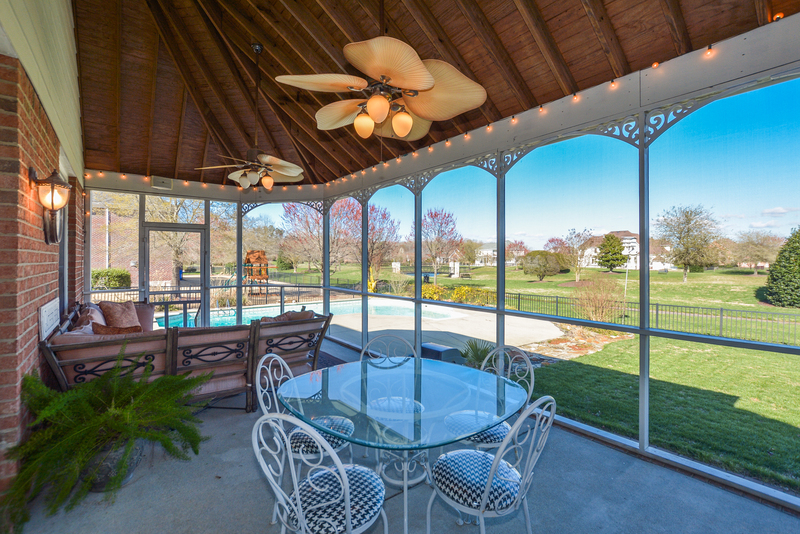 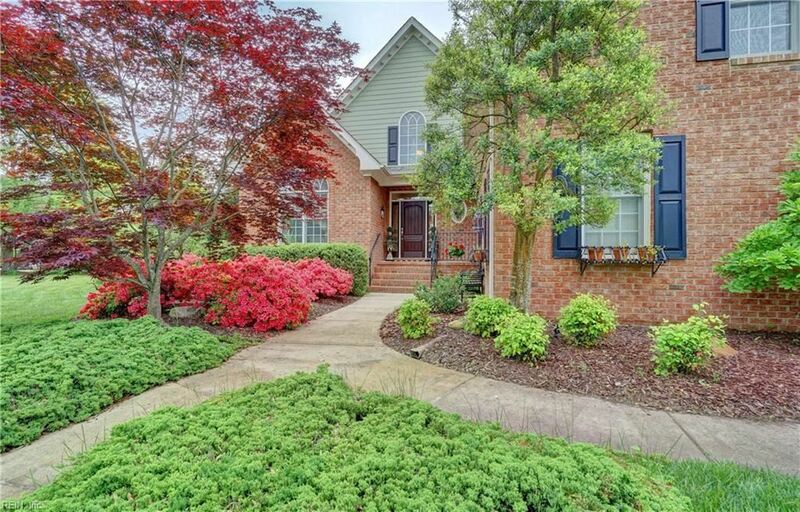 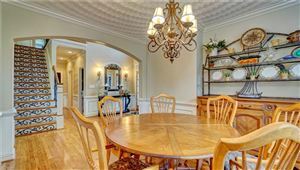 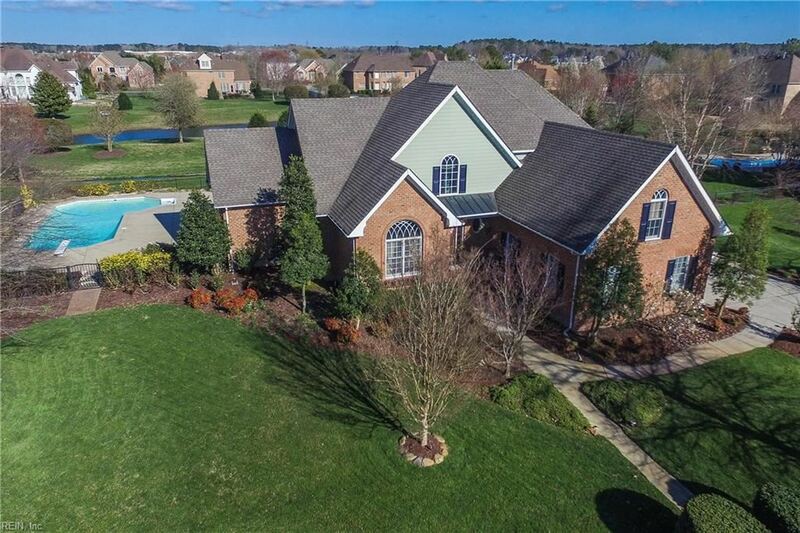 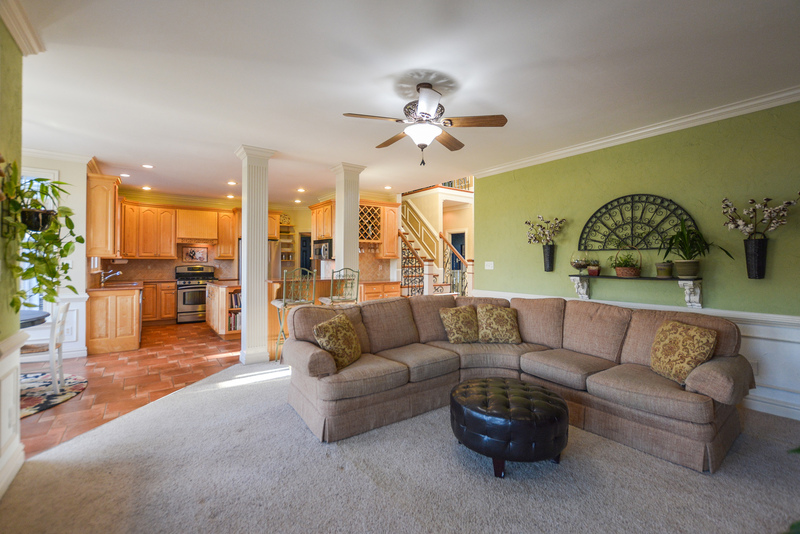 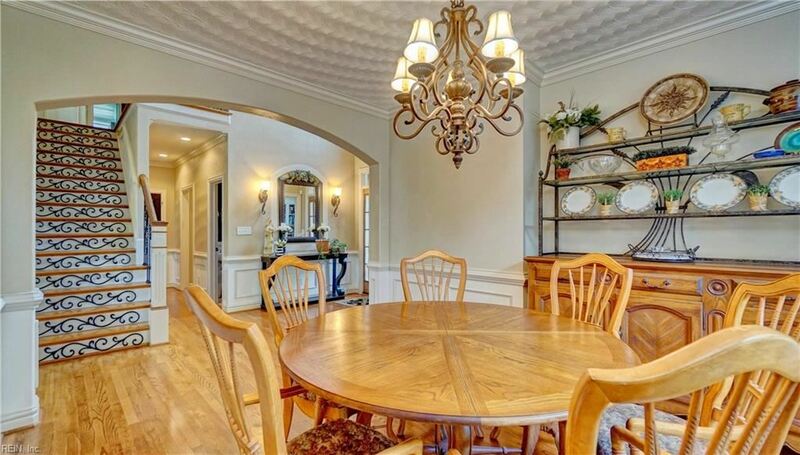 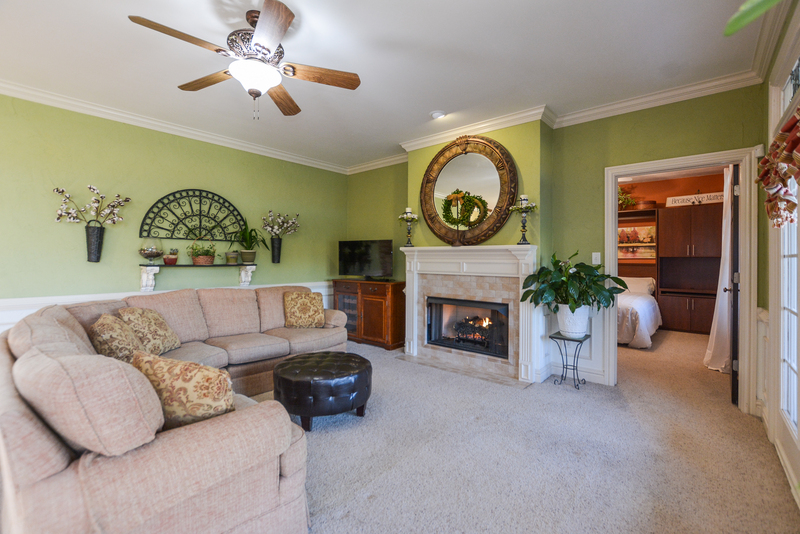 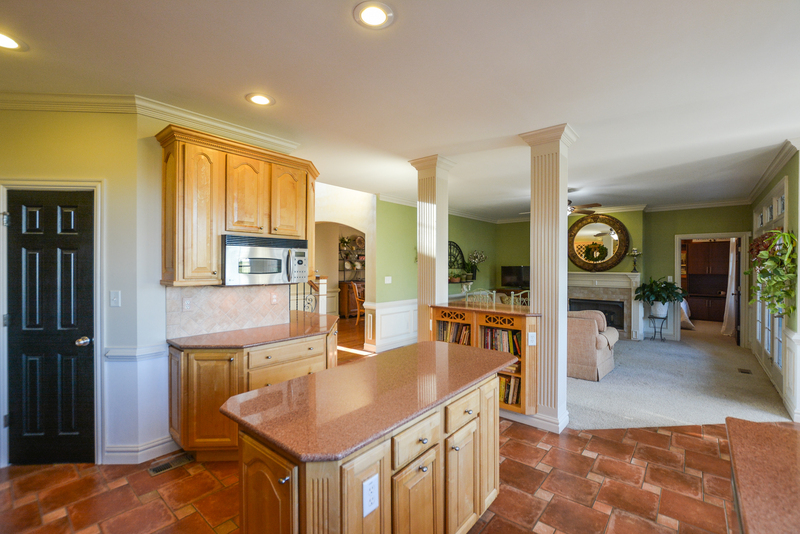 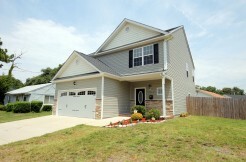 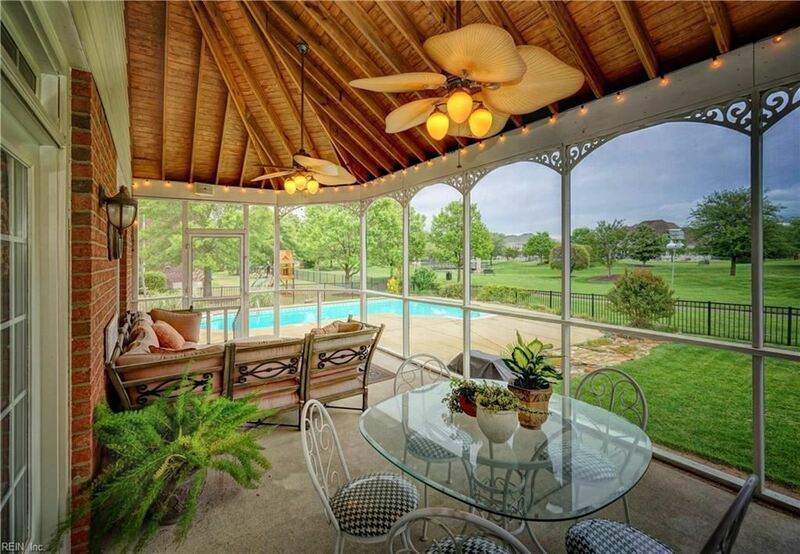 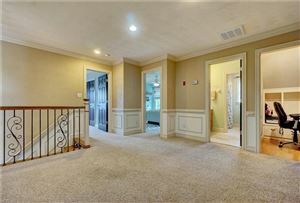 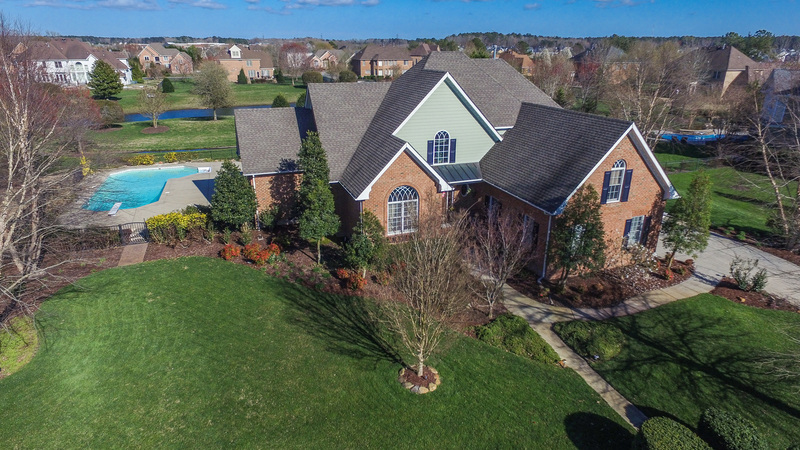 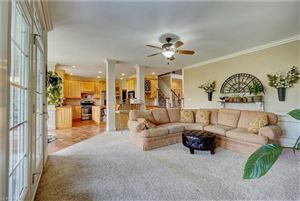 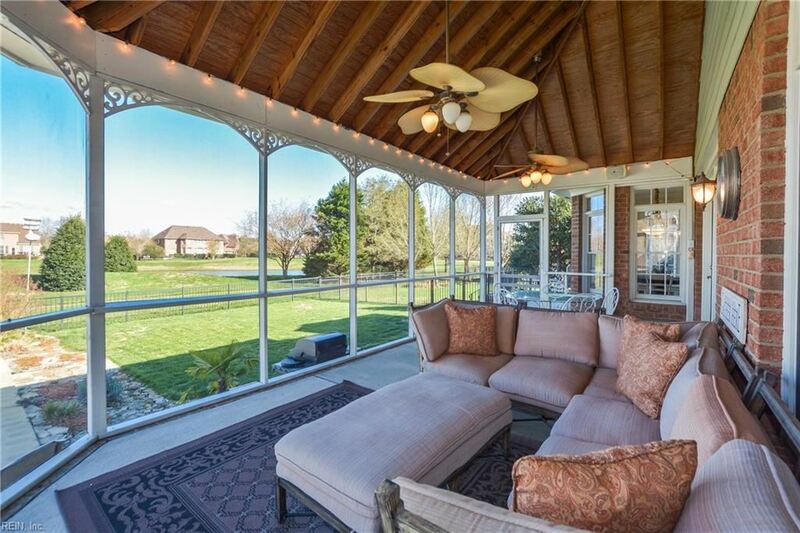 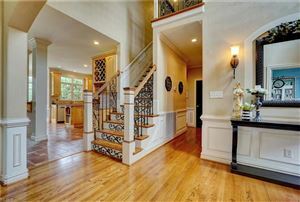 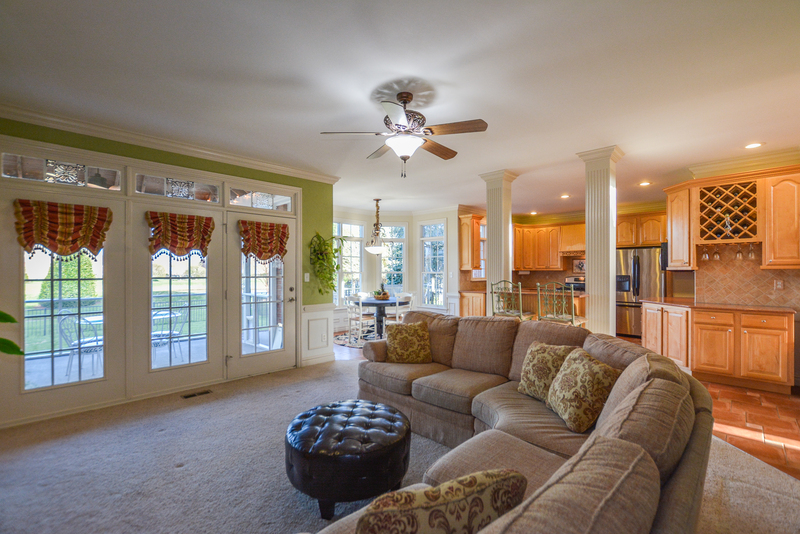 Open floor plan makes this a wonderful home for having friends over & entertaining. 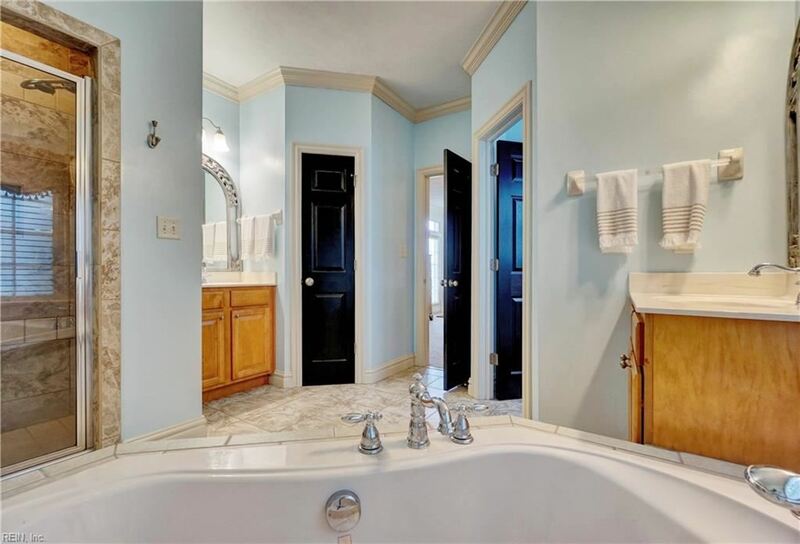 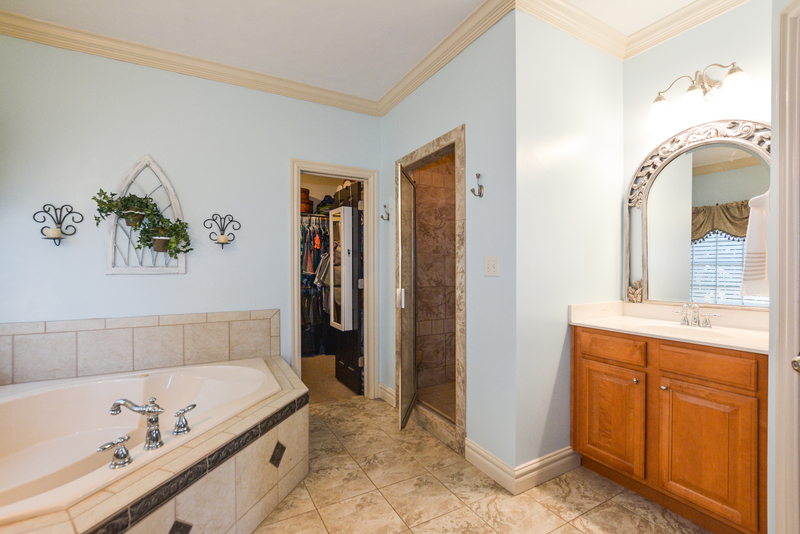 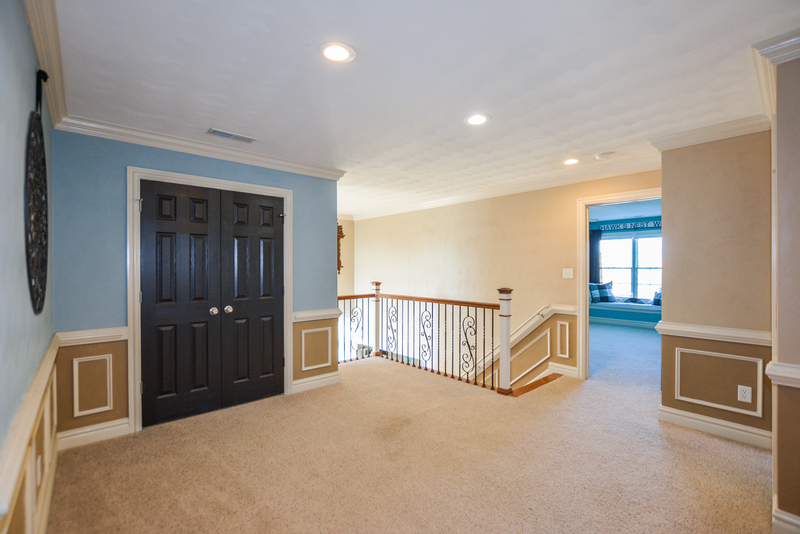 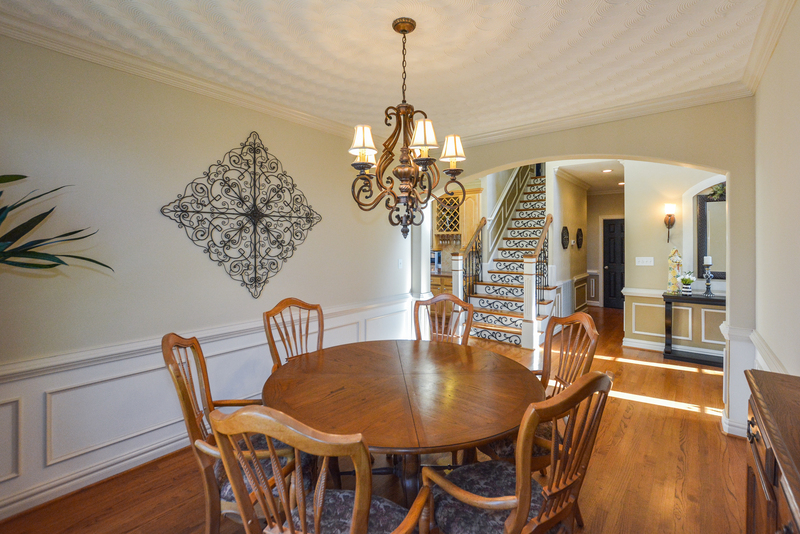 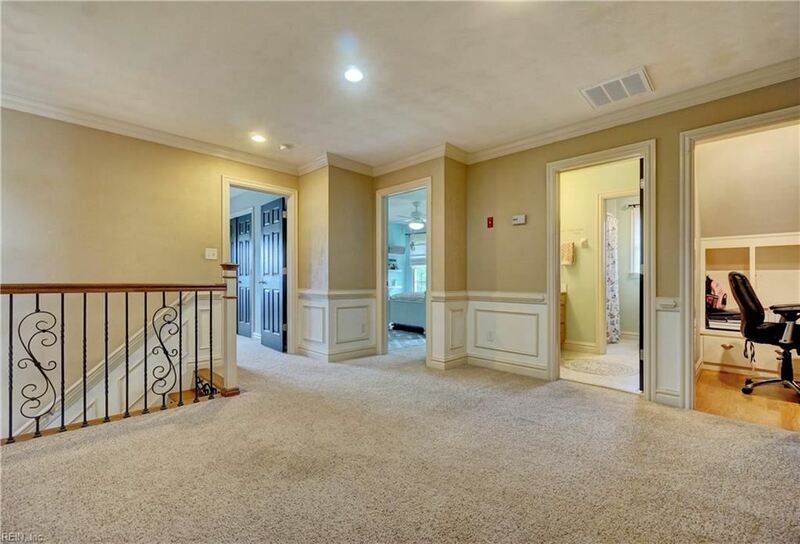 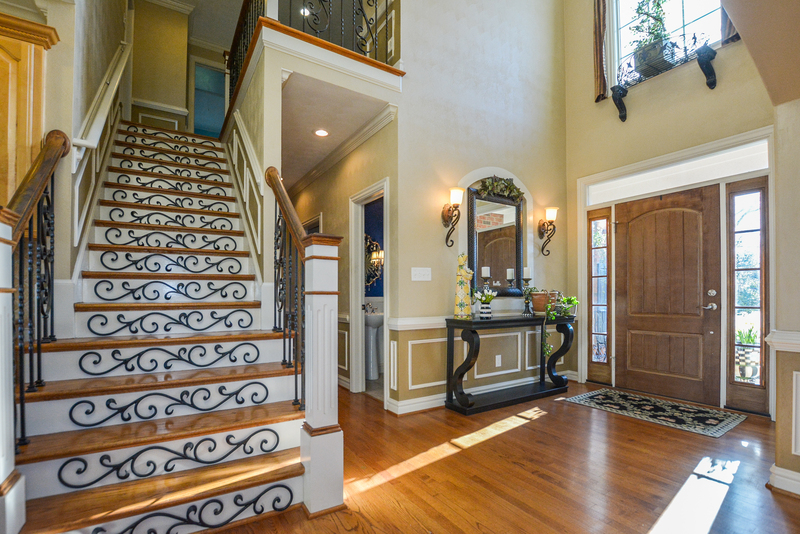 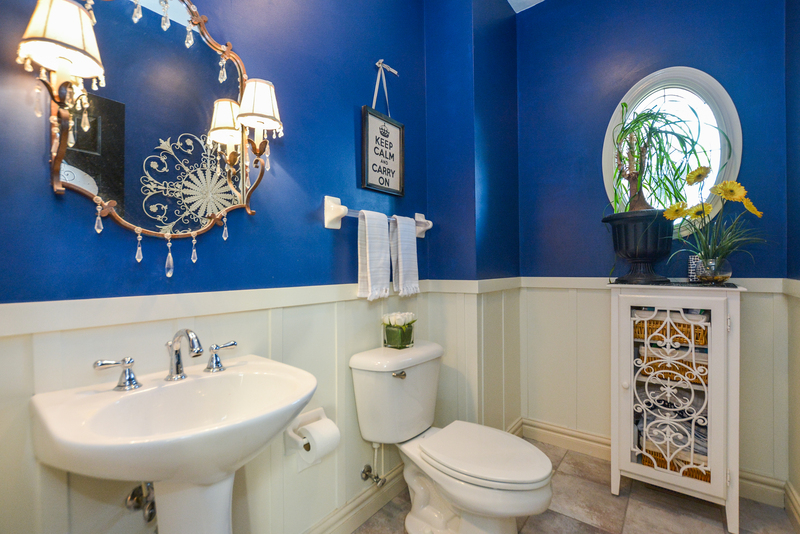 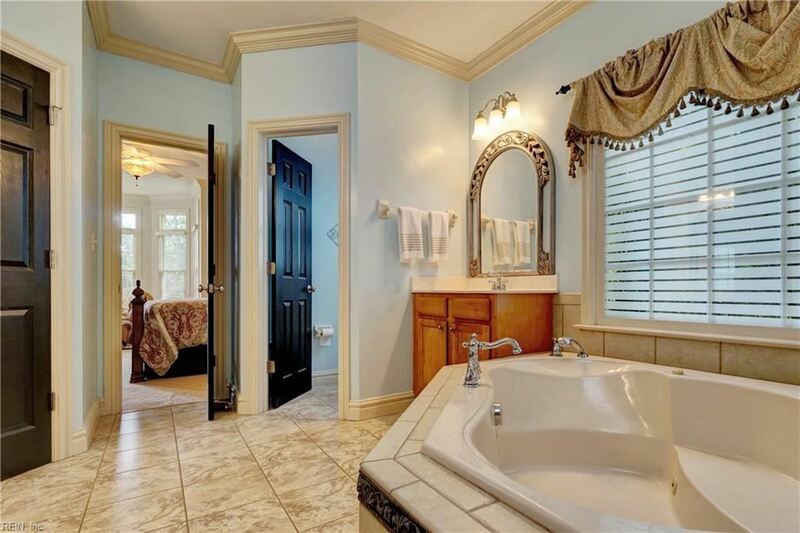 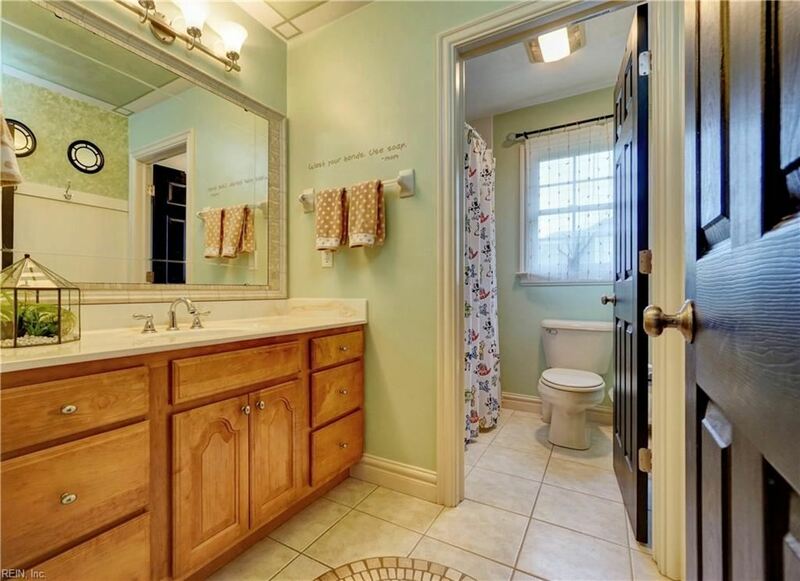 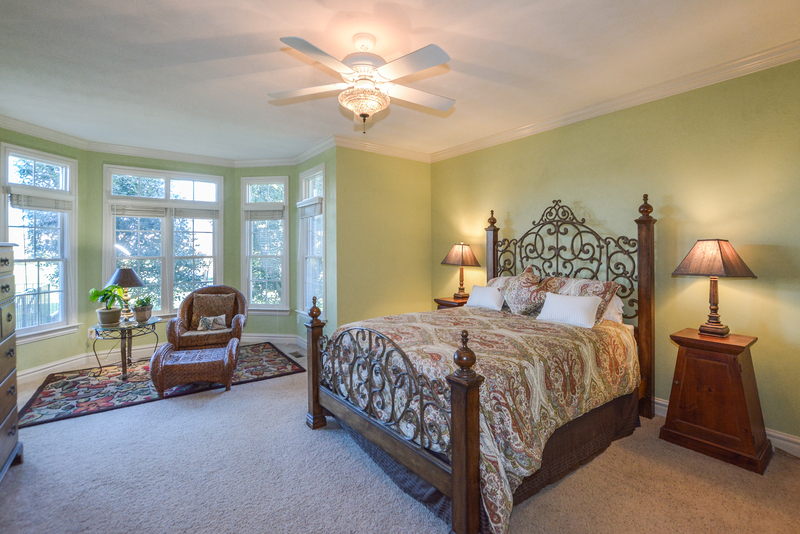 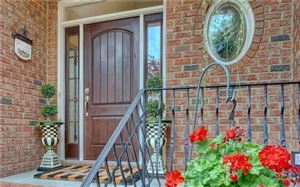 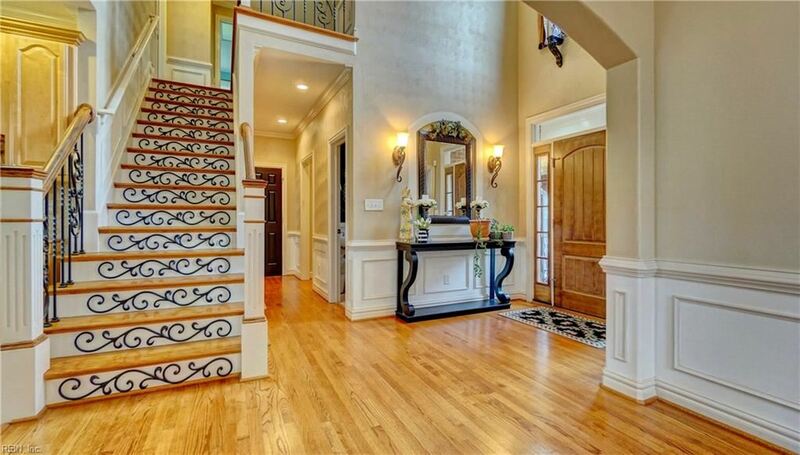 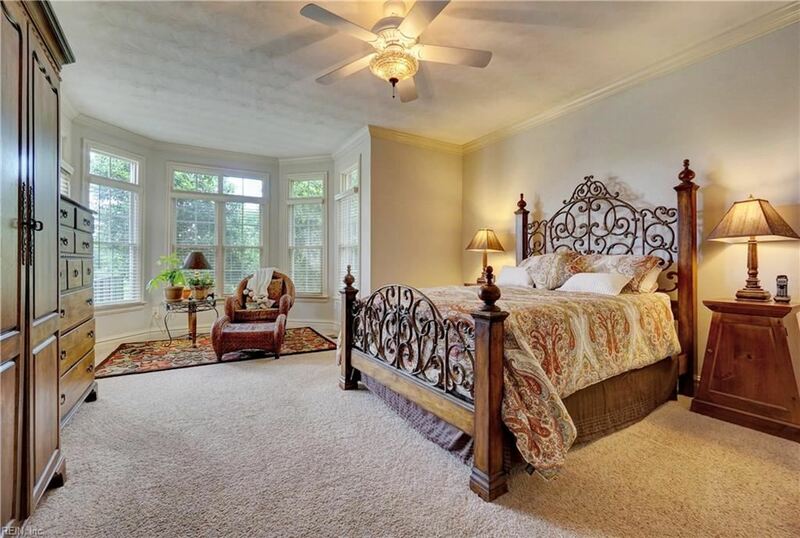 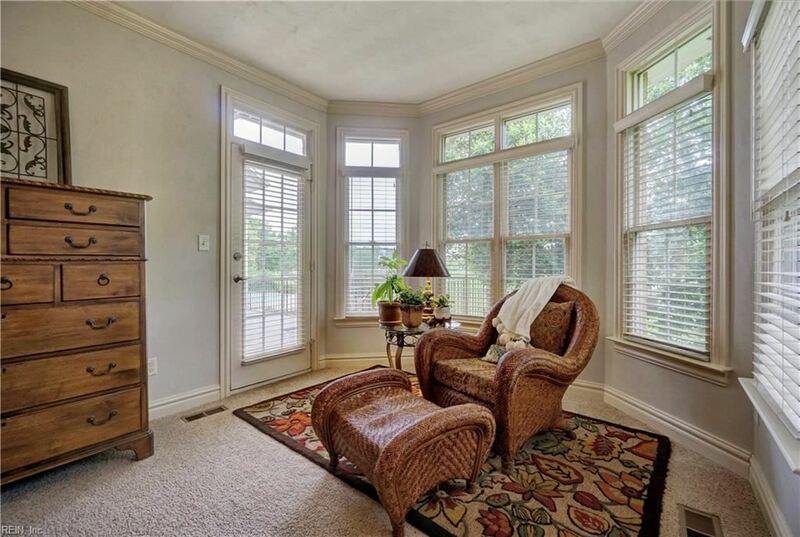 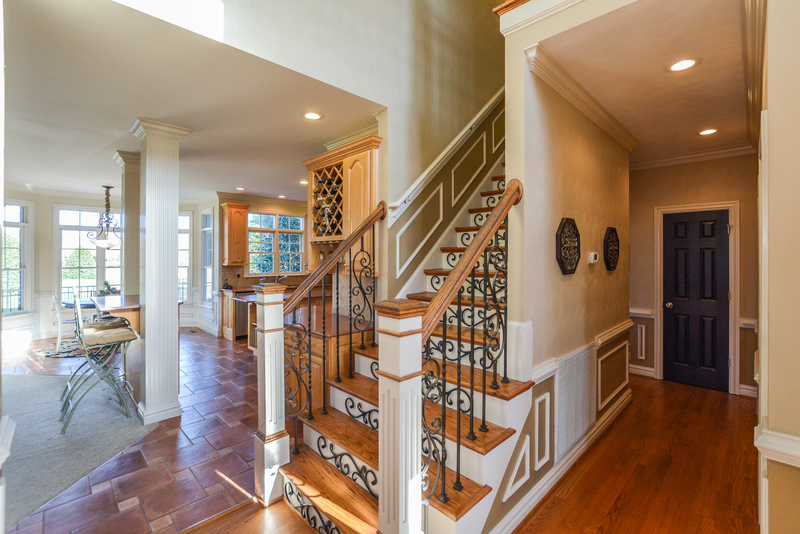 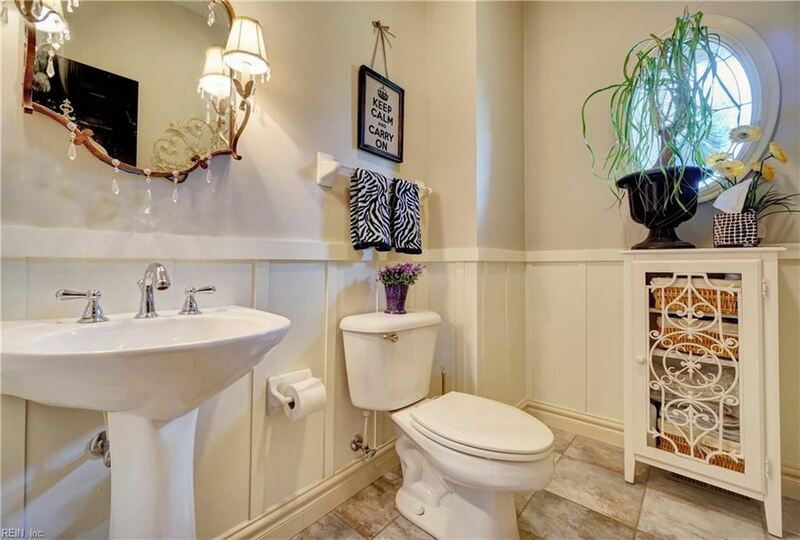 Shining hardwood floors, high ceilings & detailed moldings are sure to impress. 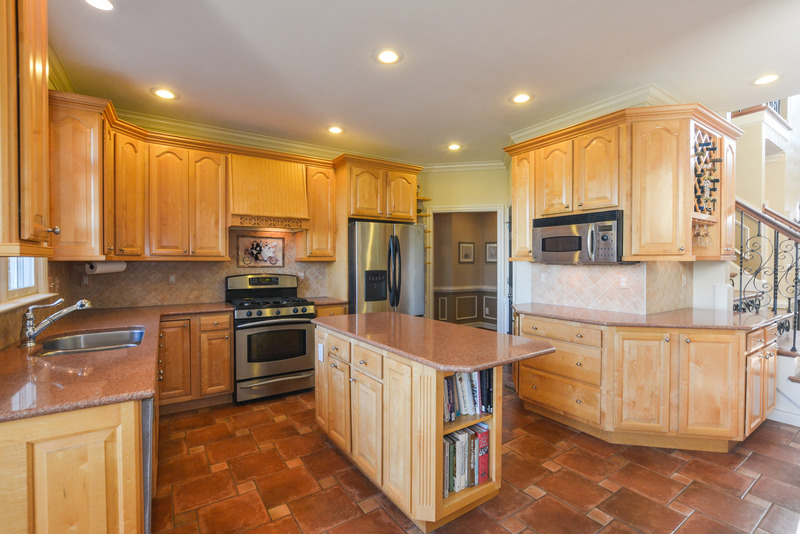 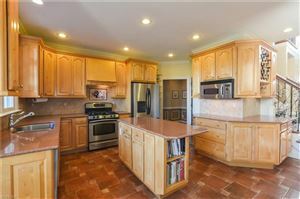 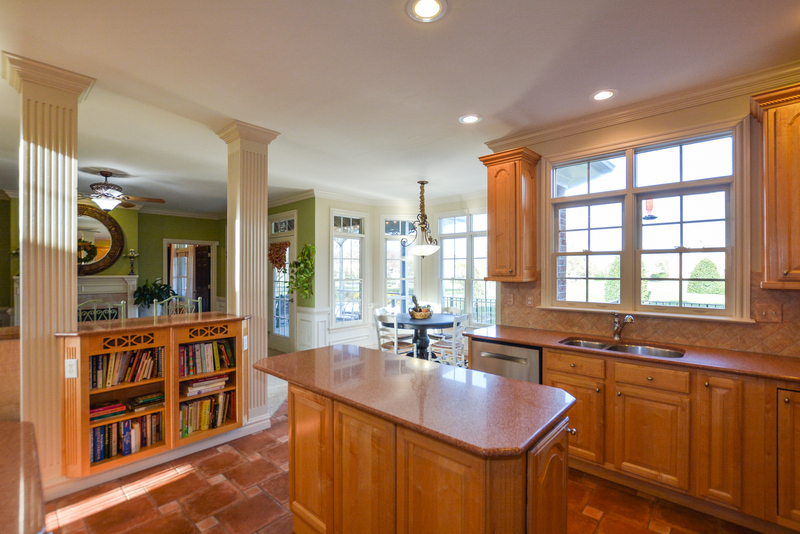 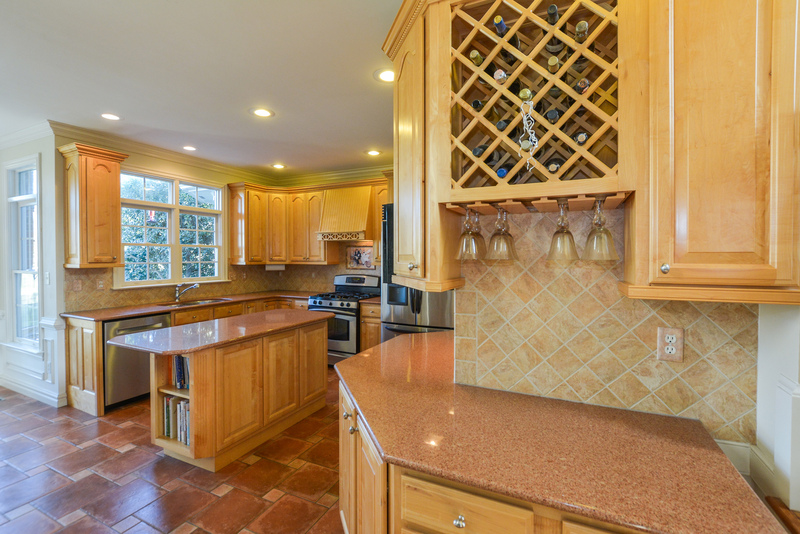 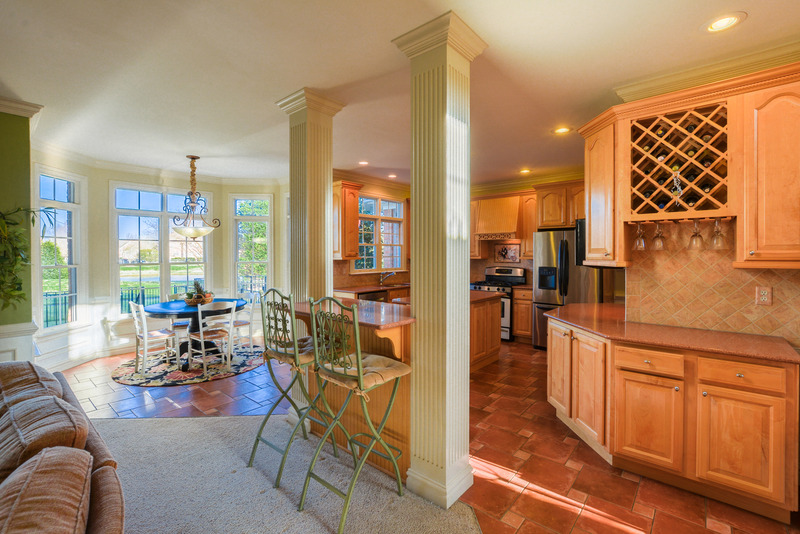 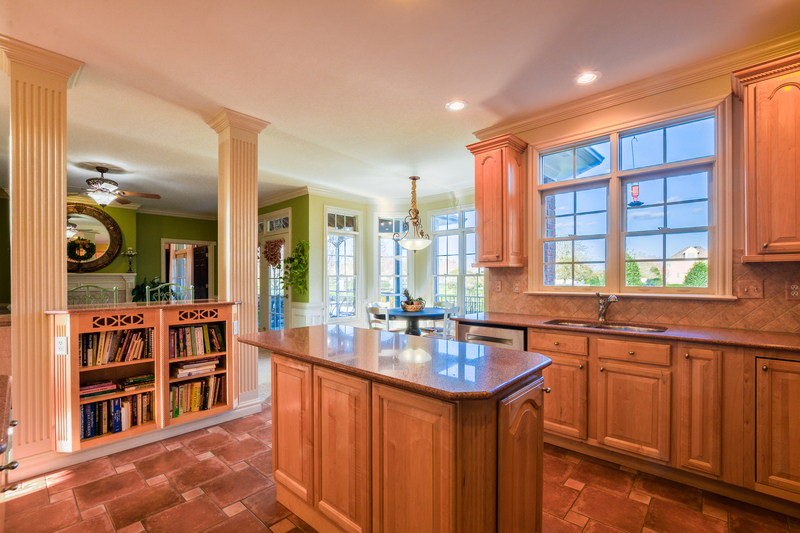 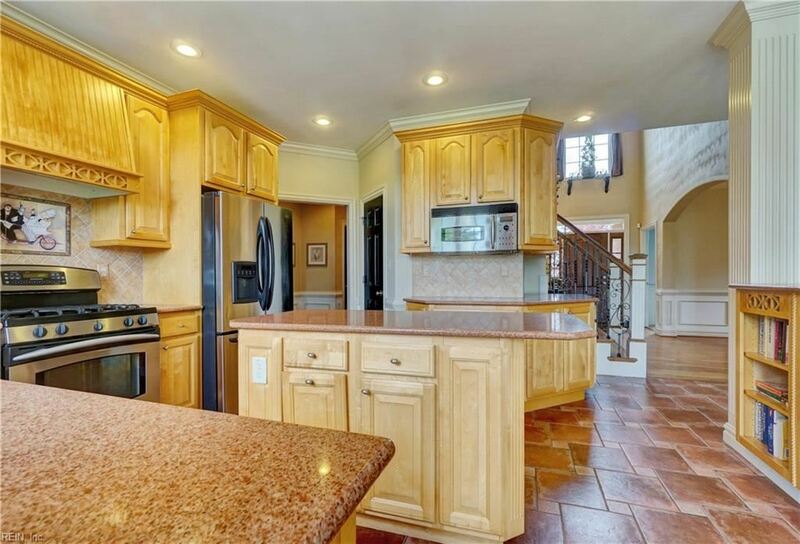 The kitchen is immaculate w/quartz counters, ample cabinets, built-in wine rack & bar seating. 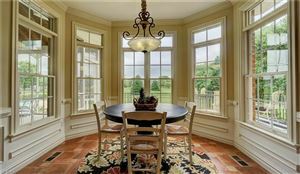 The breakfast nook is a great place to enjoy beautiful lake views. 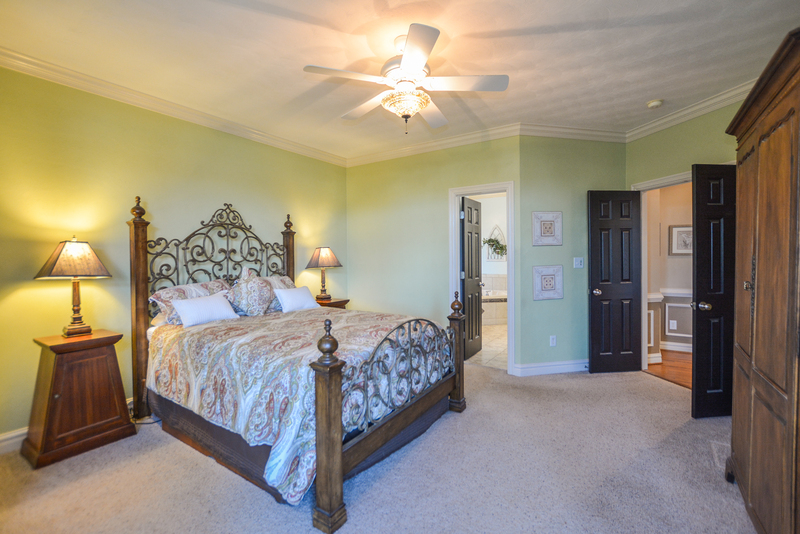 The 1st flr master suite is spacious & includes a sitting area with doors to the deck & master bath boasting his-and-her sinks, jetted tub & walk-in tiled shower. 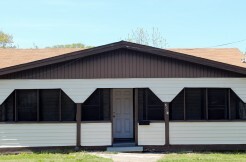 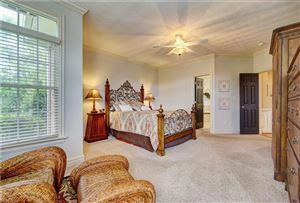 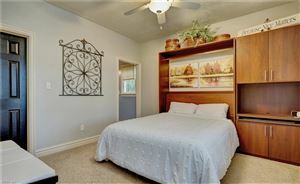 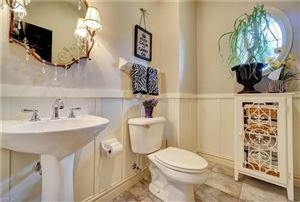 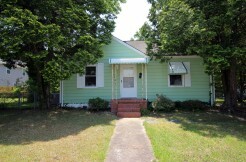 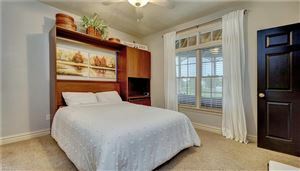 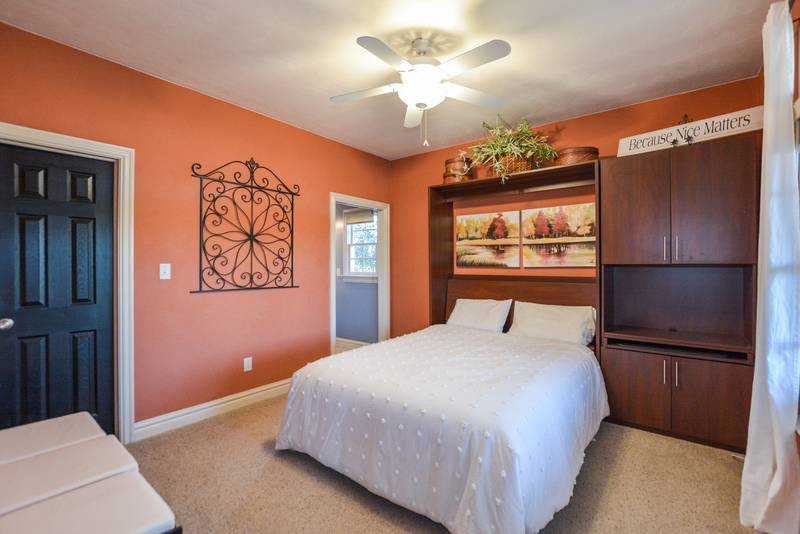 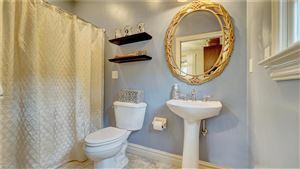 Additional 1st flr bdrm w/bath is an ideal guest room. 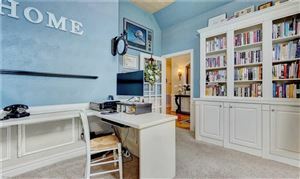 A charming office includes custom bookshelves & storage. 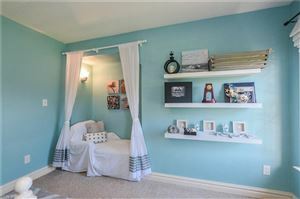 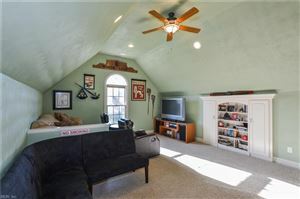 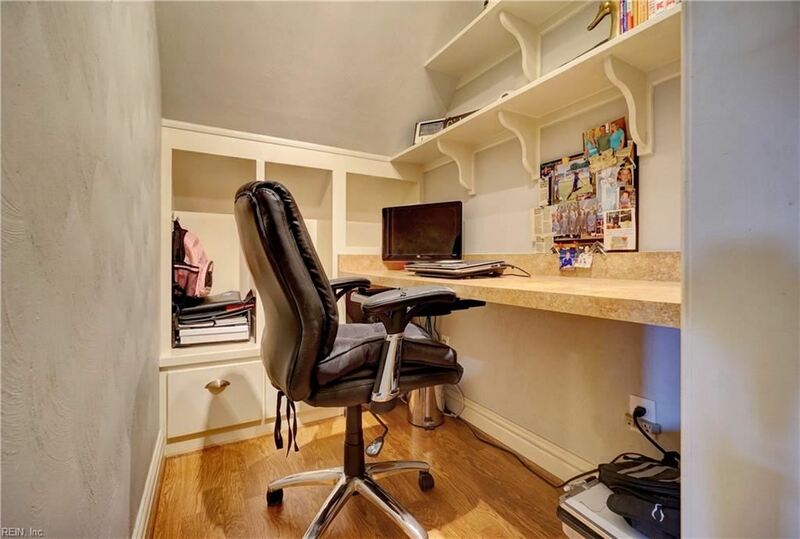 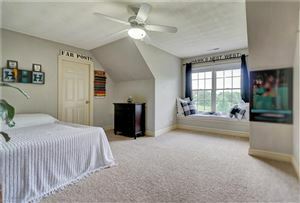 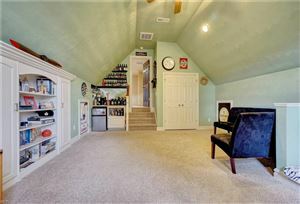 Upstairs loft makes a perfect playroom/reading area & leads to large bdrms, cute study nook & FROG for your movie rm. 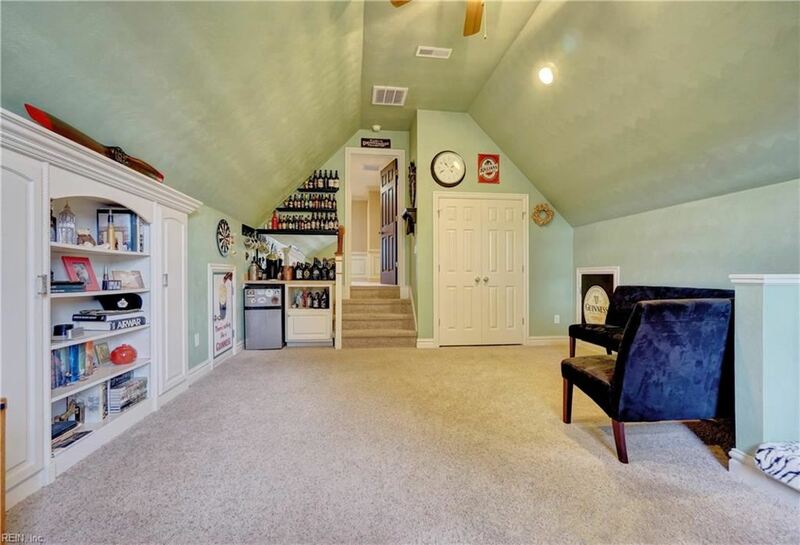 Tremendous walk-in attic storage! 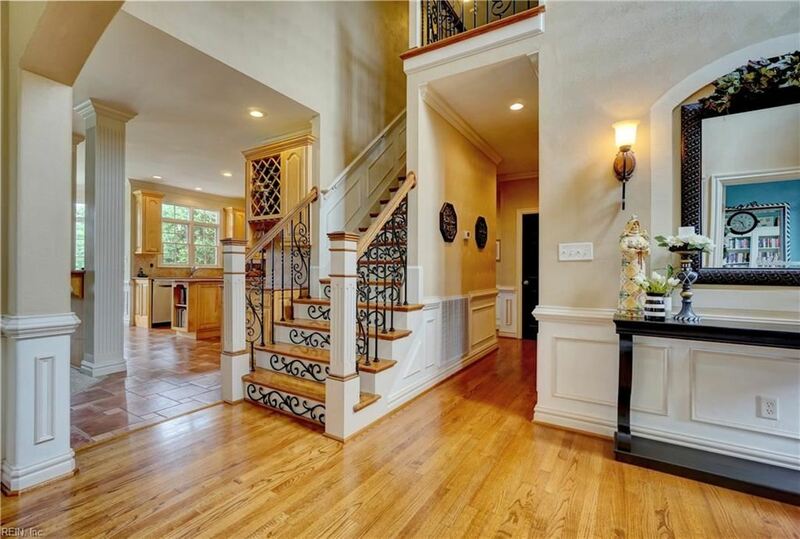 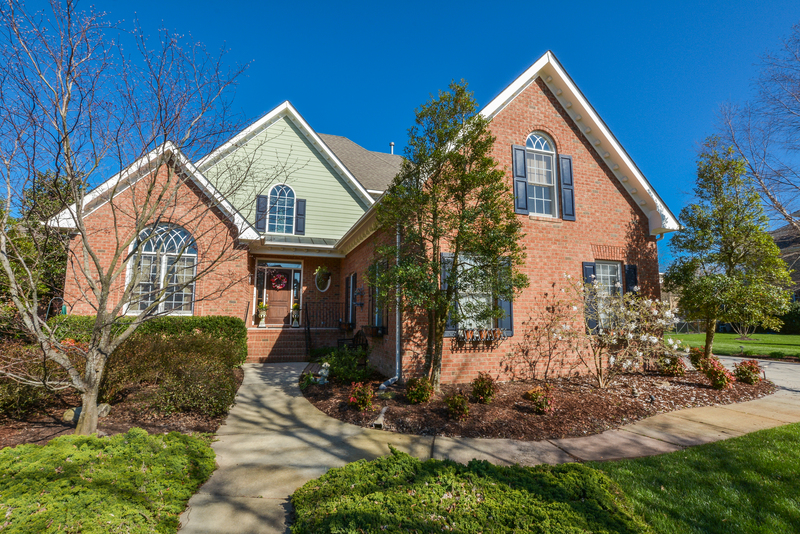 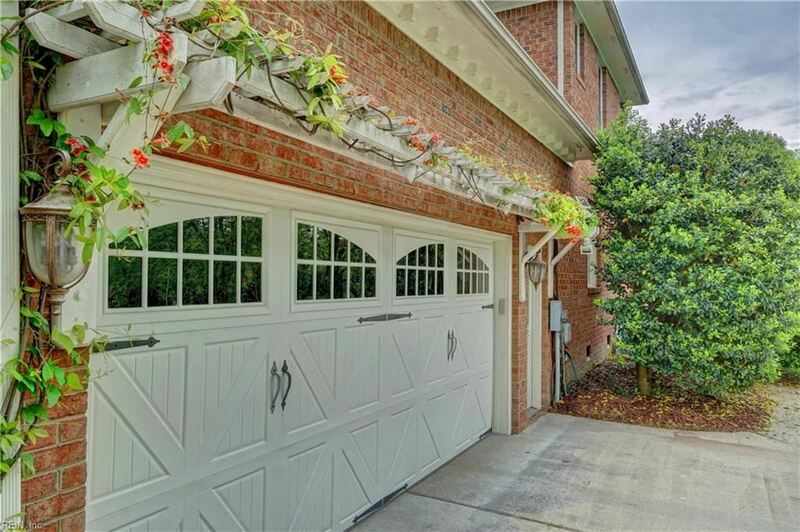 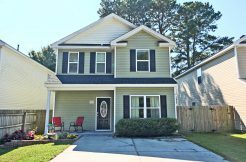 This beautiful home in Edinburgh is on one of the most desirable lots in the neighborhood. 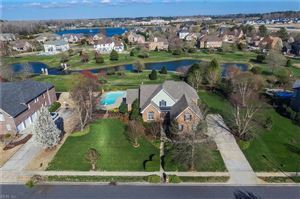 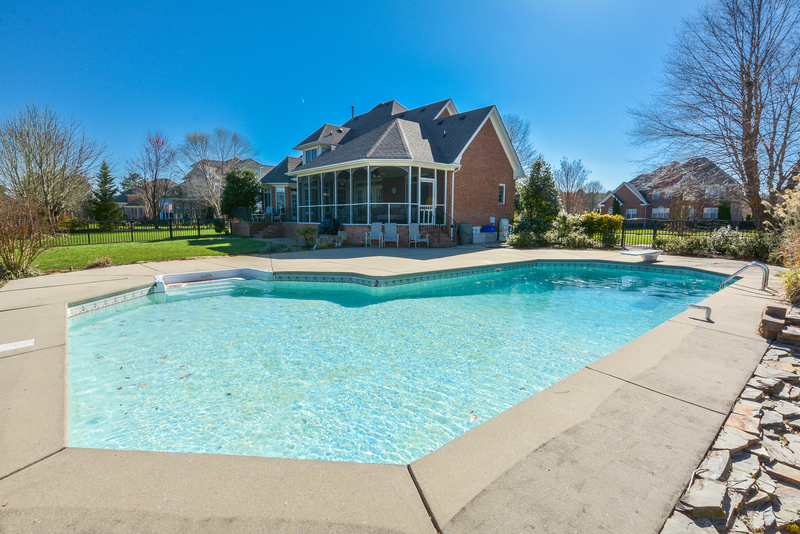 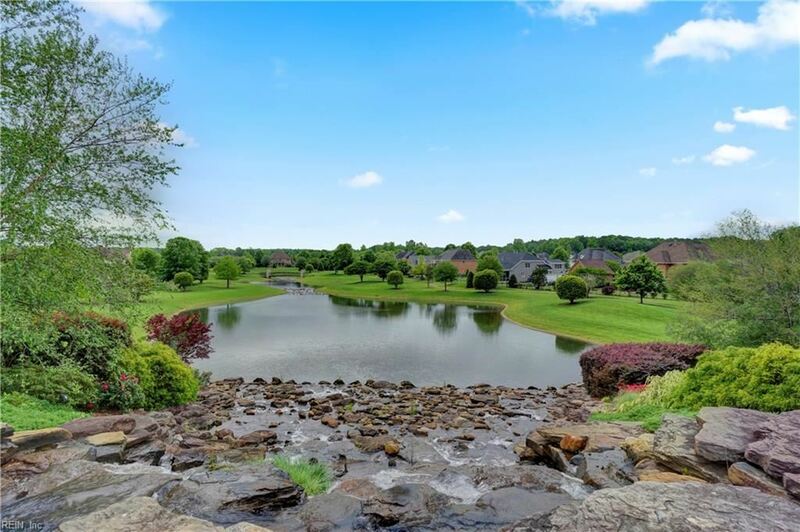 Overlooking the lake and waterfall, this home offers privacy with a gorgeous and enviable view to be enjoyed from your fantastic pool, deck and screened-in porch. 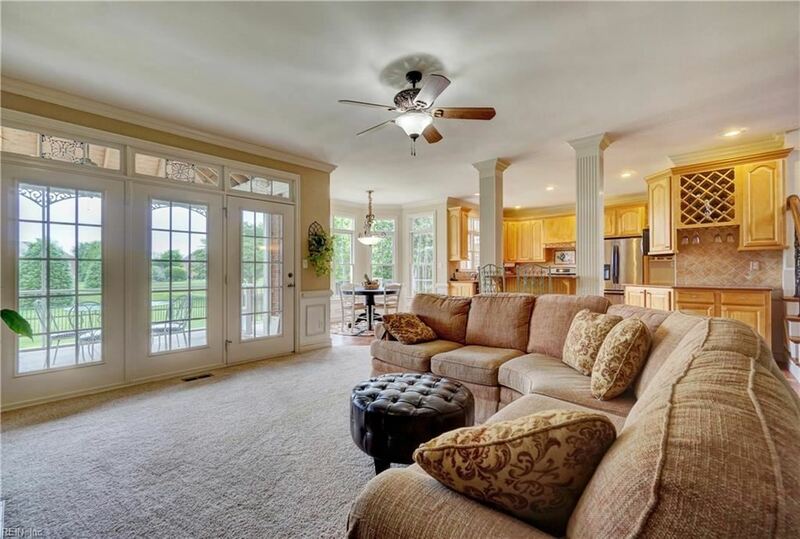 The open floor plan makes this a wonderful home for having friends over and entertaining. 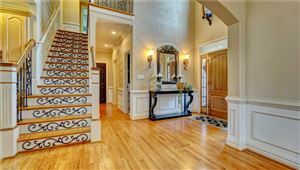 Shining hardwood flrs, high ceilings and detailed moldings are sure to impress. 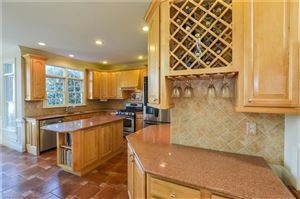 The kitchen is immaculate with quartz counters, ample cabinets, built-in wine rack and bar seating. 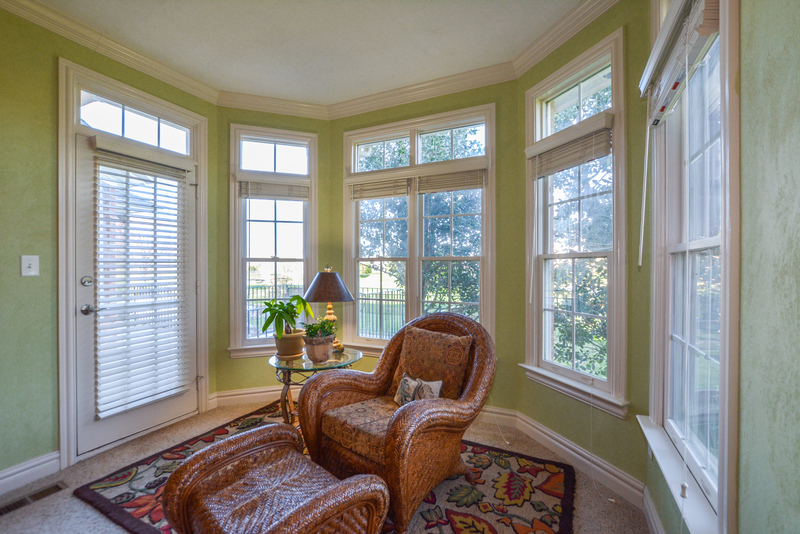 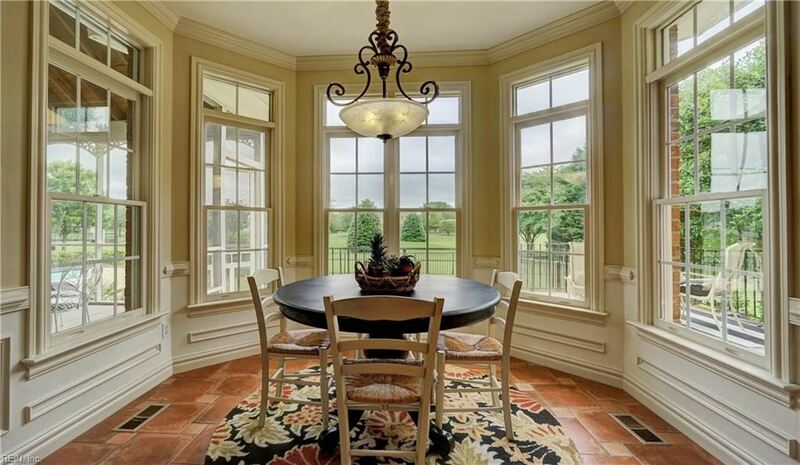 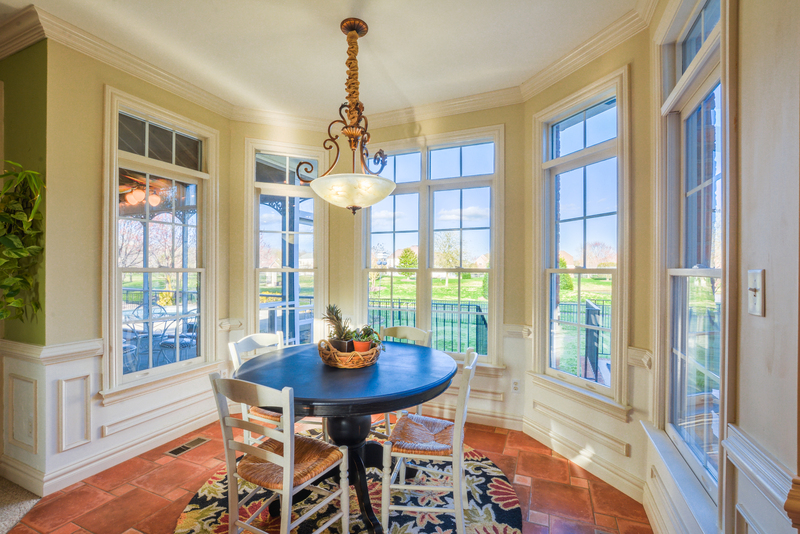 The breakfast nook is a great place to start the morning and take in the beautiful lake views. 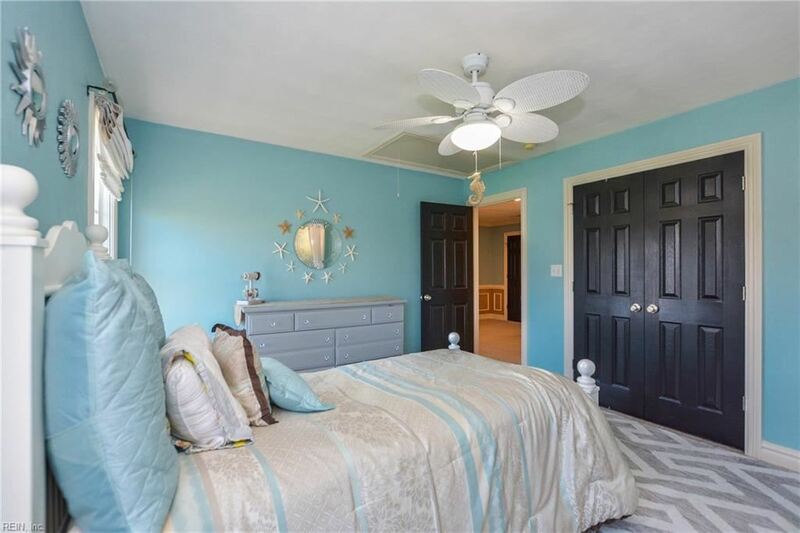 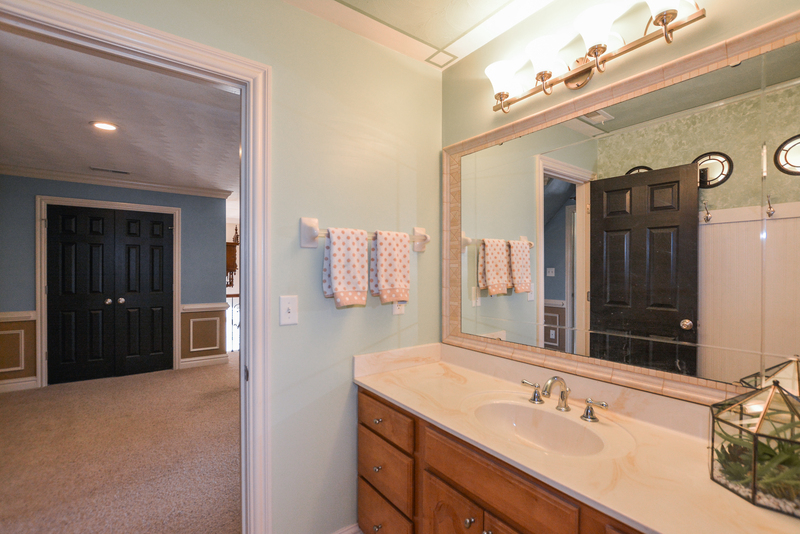 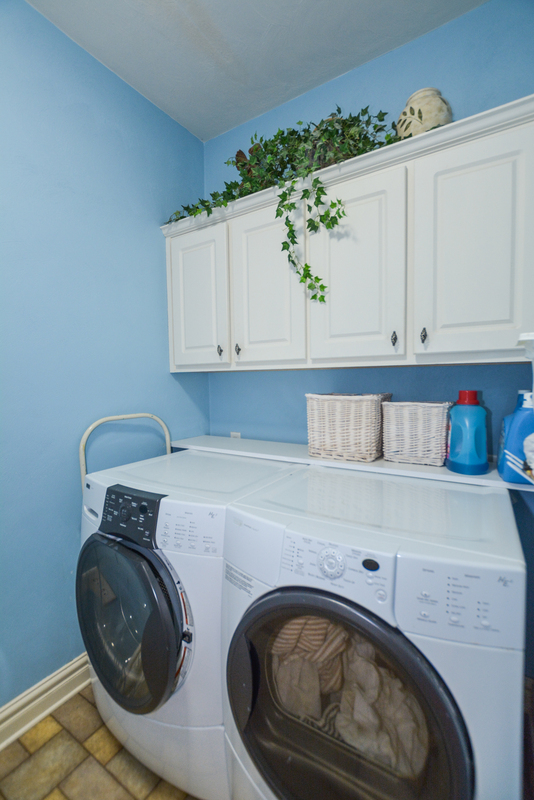 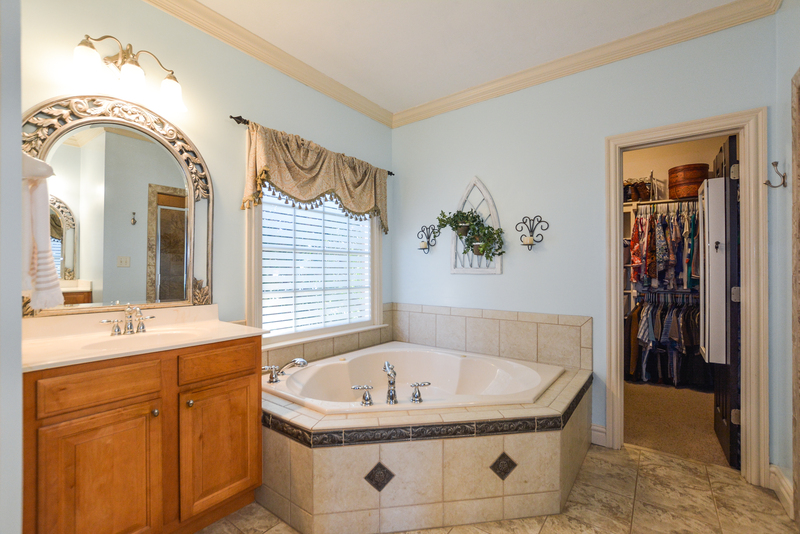 The 1st floor master suite is spacious and includes a sitting area, large walk-in closet, doors to the deck and a master bath boasting a jetted tub, his-and-her sinks and a walk-in tiled shower. 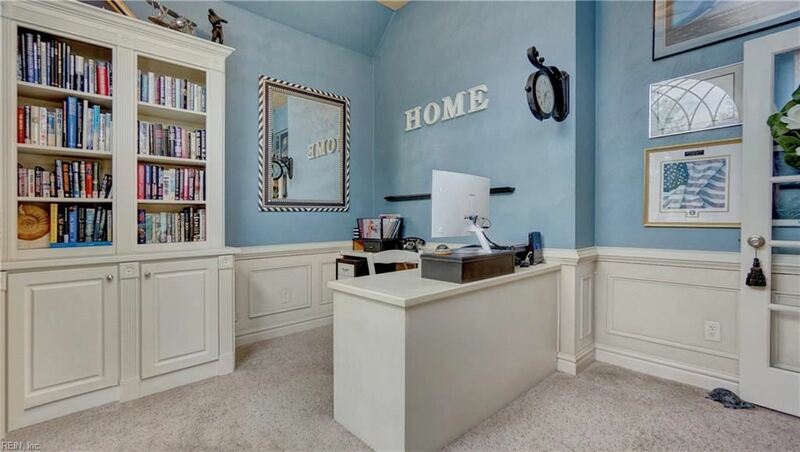 A charming office includes custom bookshelves and storage. 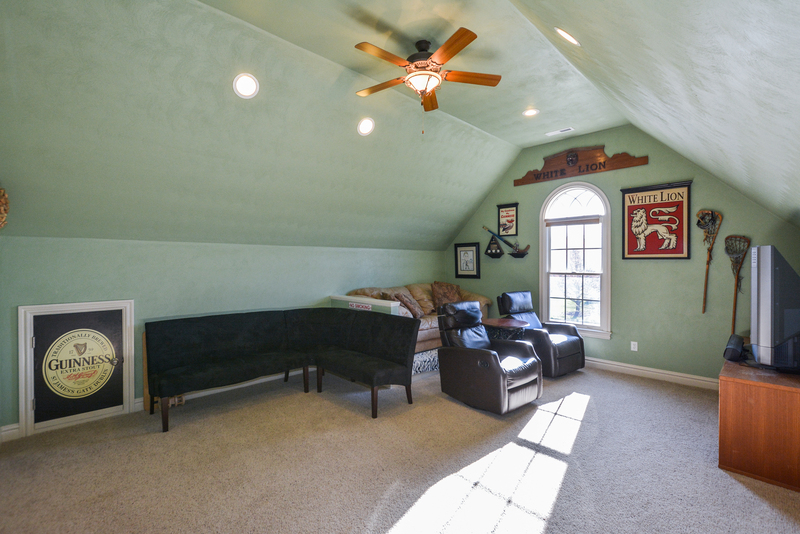 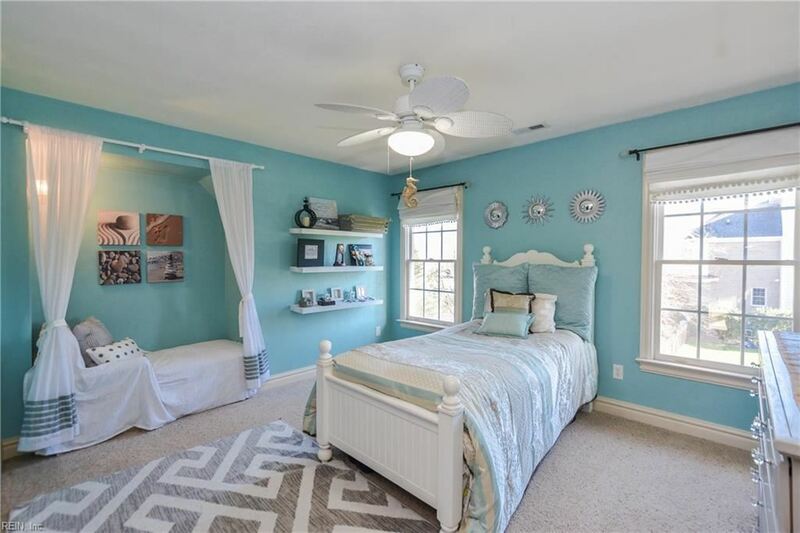 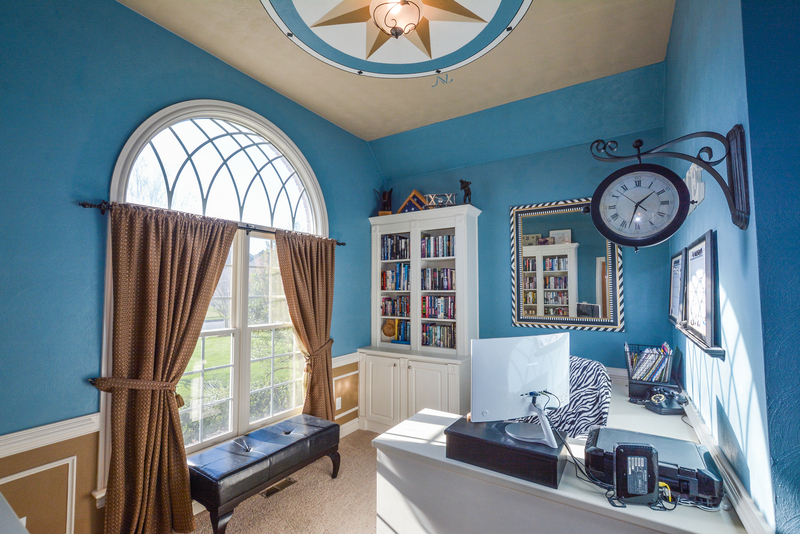 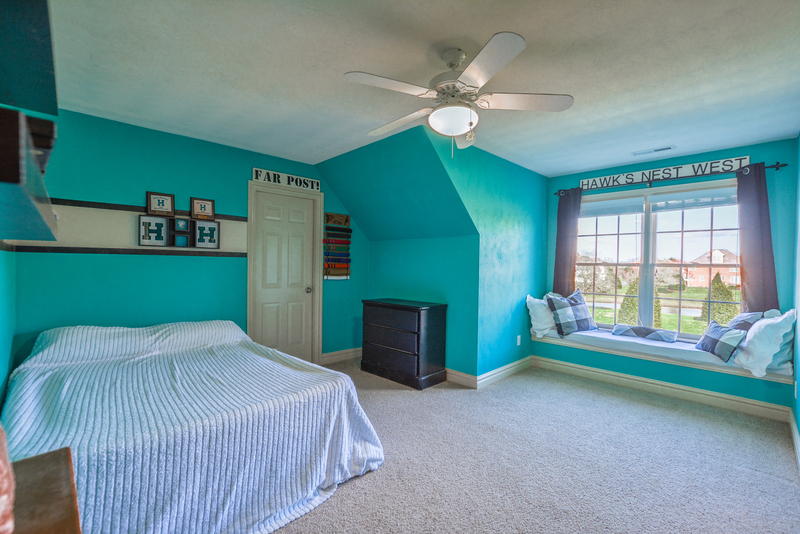 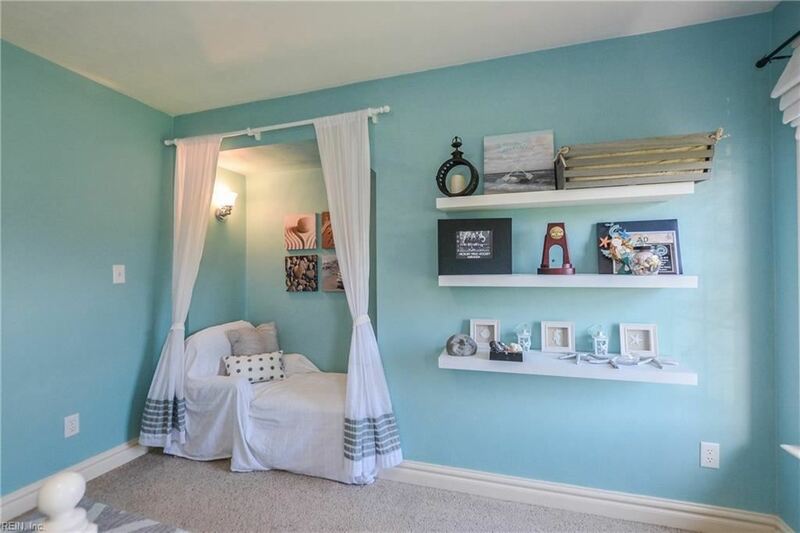 The upstairs loft makes a perfect playroom or reading area and leads to large bedrooms and a cute study nook! The FROG is a perfect game/movie room!